It could be an illusion but I might as well try, might as well try. I had one of those flashes: I’d been there before, been there before. I had to learn the hard way to let her pass by, let her pass by. Everybody’s playing in the Heart of Gold Band, Heart of Gold Band. 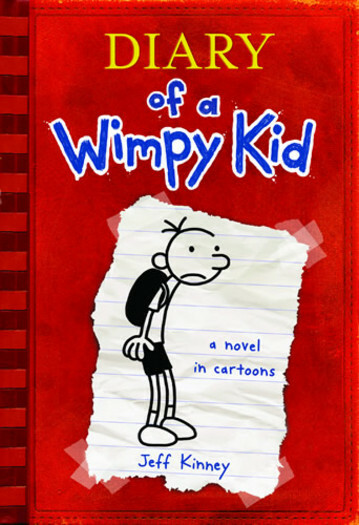 Instead of posting a poem by a Pulitzer-prize winning poet today or an aria from one of my favorite operas, I am including an excerpt from my five-year-old nephew’s favorite book, Diary of a Wimpy Kid. Sam is also obsessed with the music of 16-year-old Canadian sensation, Justin Bieber. Special thanks to the Easter Bunny for placing an iPod shuffle with adjustable earbud headphones in Sam’s Easter basket. “Today we have Phys Ed, so the first thing I did when I got outside was sneak off to the basketball court to see if the Cheese was still there. And sure enough, it was. That piece of Cheese has been sitting on the blacktop since last spring. I guess it must’ve dropped out of someone’s sandwich or something. After a couple of days the Cheese started getting all moldy and nasty. Nobody would play basketball on the court where the Cheese was, even though that was the only court that had a hoop with a net. Then one day, this kid named Darren Walsh touched the Cheese with his finger, and that’s what started this thing called the Cheese Touch. It’s basically like the Cooties. If you get the Cheese Touch, you’re stuck with it until you pass it on to someone else. The only way to protect yourself from the Cheese Touch is to cross your fingers. But it’s not that easy remembering to keep your fingers crossed every moment of the day. I ended up taping mine together so they’d stay crossed all the time. I got a D in handwriting, but it was totally worth it. This one kid named Abe Hall got the Cheese Touch in April, and nobody would even come near him for the rest of the year. This summer Abe moved away to California and took the Cheese Touch with him. he too is watching your shining. tell him I’m lonely and long for him. speak to him, tell him how I love him. moonlight, stay with me, stay with me. I rarely post responses people make on my site, but someone wrote in recently and asked what my favorite Marilyn Horne aria is. So many come to mind, but this one more than others. The first time I heard Horne sing this I was standing in Ireland somewhere along the coast of Kerry. It is Delilah’s song of seduction from the opera Samson and Delilah. It came over Lyric FM, a Limerick radio station we had on in the car. I have been thinking about that day recently, that place in the road, and Horne’s beautiful voice as it echoed over the green hills of the farm we were standing near while we watched the sun set over the Atlantic. The story of Samson and Delilah is one of the Biblical stories I am most familiar with because my grandmother was a Levi, a name I associate with Samson. Samson was a Levite, a priest in one of the twelve tribes of Israel. He was also a warrior and very strong. To be a priest meant he was never to cut his hair. His one weakness was beautiful women, and he fell in love with a woman named Delilah. After pleading with him many nights to tell her the secret of his strength, he finally confessed his strength was in his hair. In the opera, Delilah sings this aria, and he falls asleep in her arms. She cut off his hair, imprisoned him and the guards burned out his eyes. When Samson’s hair grew back, his strength returned and he destroyed the temple.